The pair is not going to reverse so far. It looks like wave (4) was completed in the form of flat pattern yesterday, and currently the price is forming the fifth one. The pair may reach a new local maximum within the next several days. 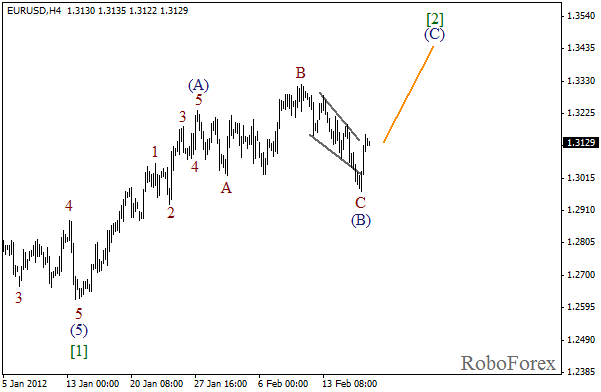 After completing an impulse in wave (C) of , the price started growing up inside the first wave. 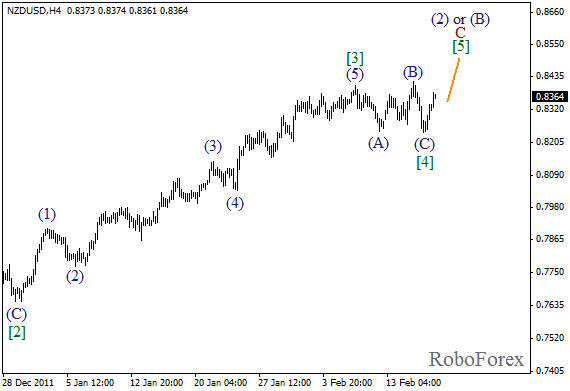 It looks like right now wave (2) is being formed. In the near term, we can expect the price to continue growing up while forming the third wave. It looks like the price is not going to form wave  so far. 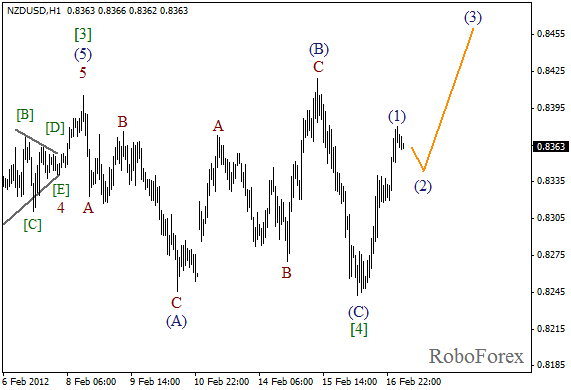 Wave (B) of 2 has been completed in the form of flat pattern with diagonal triangle inside wave C. Right now the price is starting to form wave (C). In the near term, we can expect the pair to continue moving upwards. More detailed wave structure is shown on the H1 chart. 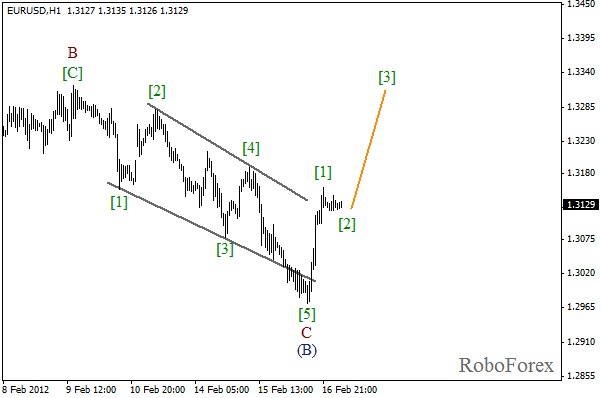 The price has completed an initial rising impulse in wave , and right now the local correction is taking place. On Friday we can expect the pair to start growing up while forming the third wave.